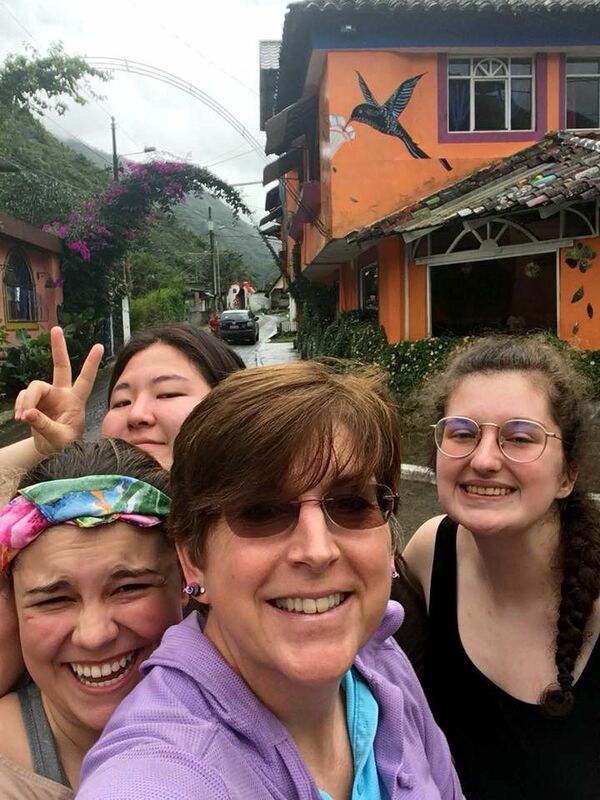 Spring Break was an exciting adventure for a group of Grier students and their teacher chaperones as they traveled to the South American country of Ecuador. 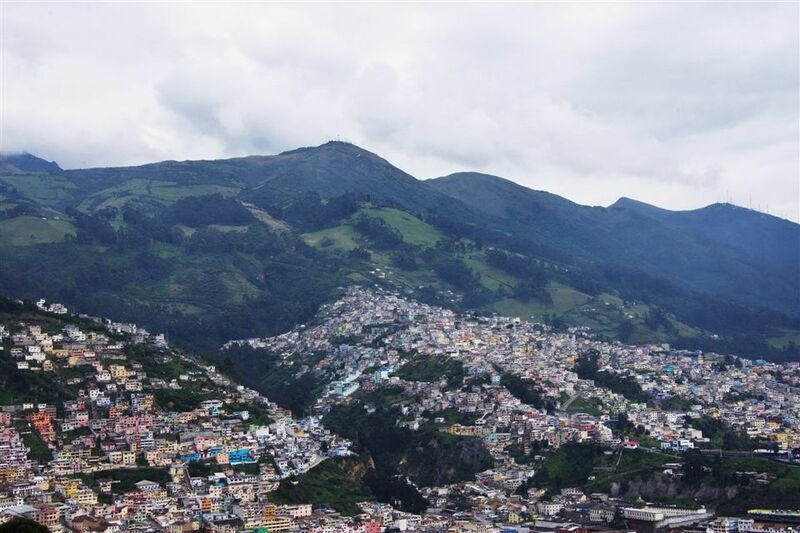 The group toured the capital city of Quito, learned about making chocolate, visited an animal rescue center, went river rafting through the rainforest, viewed gorgeous waterfalls, mountains, and volcanoes, as well as, a tour of the famous Galápagos Islands. 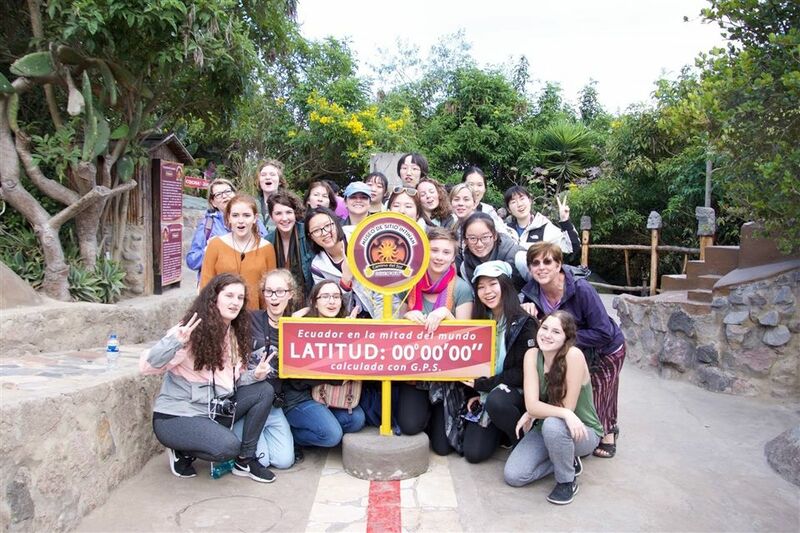 In Quito, the group toured the capital city’s historic architecture, vistas, and the Equatorial Museum, where the group posed at 0 degrees latitude and could have one foot in the Northern hemisphere and one in the Southern hemisphere. 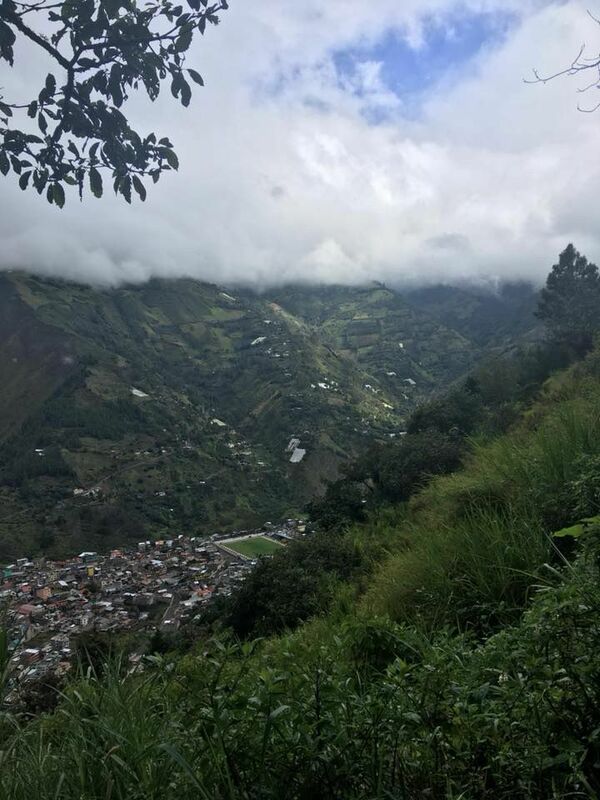 After Quito, the group drove toward the Amazonian rainforest, with a stop at a natural hot springs and a chance to begin acclimating to the higher altitude. 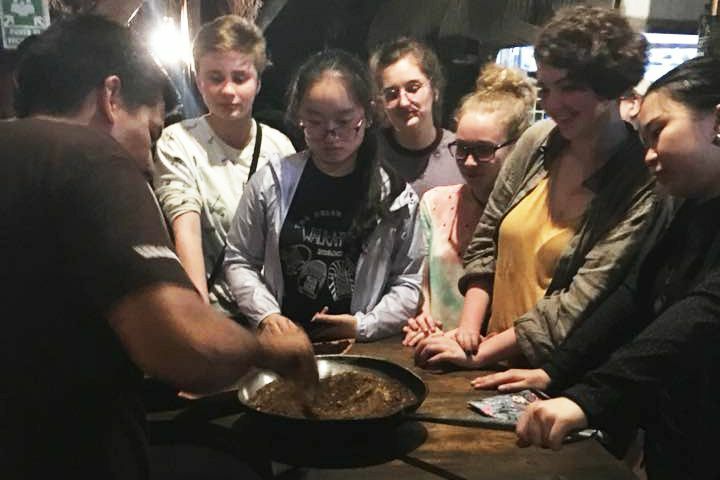 At the rainforest lodge, the group observed the chocolate-making process and took a night hike through the jungle to observe nocturnal insects, including a scorpion spider! 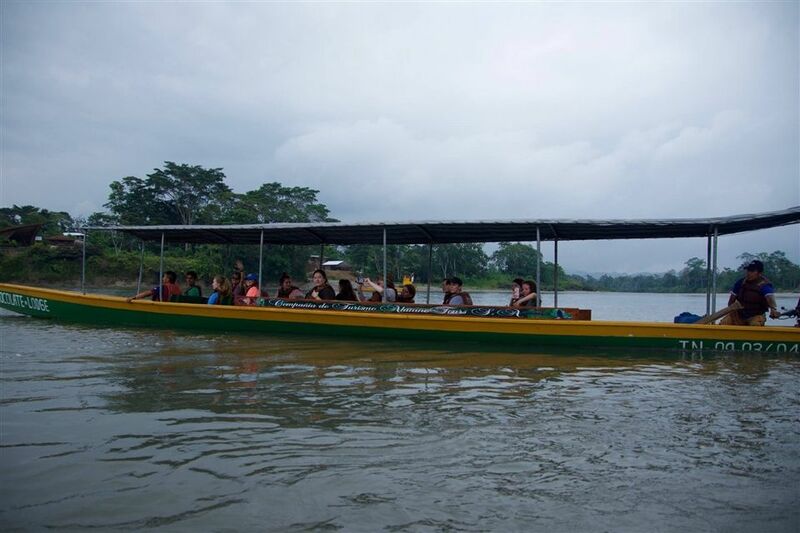 The group boarded a long, narrow boat to reach a rainforest animal rescue center, where they observed a variety of monkeys, an ocelot, and more. 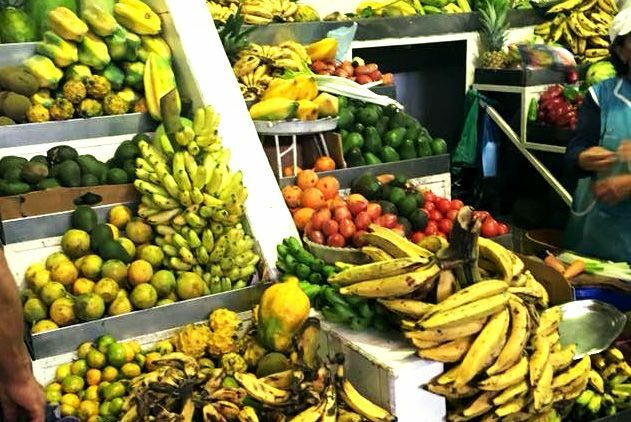 The group learned about local culture and native plants, had an opportunity to blow a dart gun, and learned about the yucca-based drink chicha. 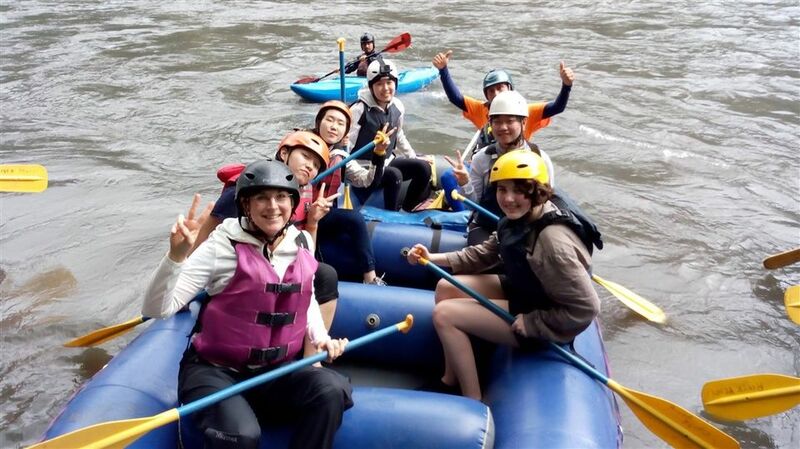 The following day, the group enjoyed a river rafting adventure on the Hatun Yacu (“Big Water”). 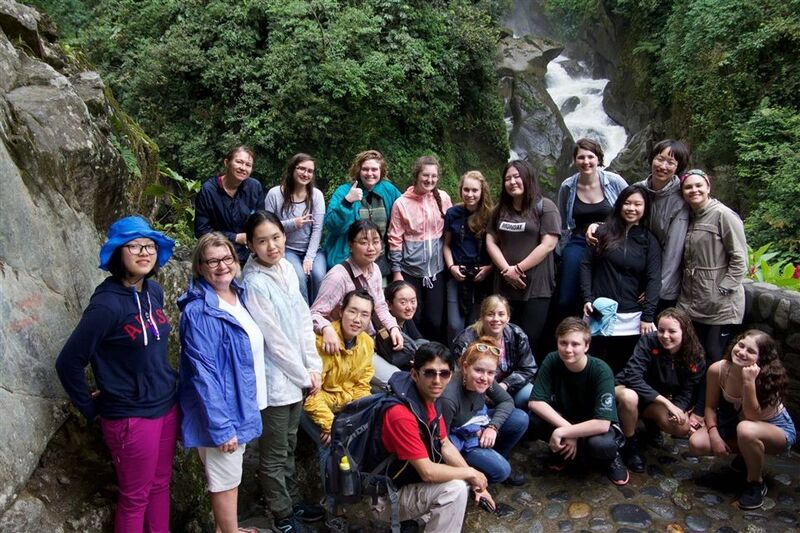 On their way out of the jungle, the group visited a shop of balsa wood carvings, hiked to a large waterfall called “Pailon de Diablo,” and viewed a second waterfall before setting in for the night in the tourist town of Baños de Agua Santa. 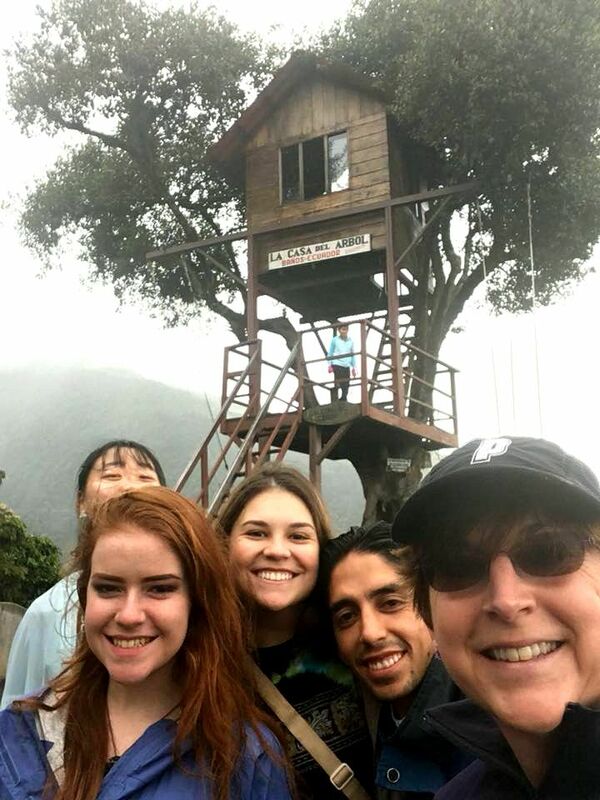 In Baños de Agua Santa, the group had a thrill at the Tree House watchtower over the active volcano Tungurahua, then some local flavor, shopping, and relaxing. 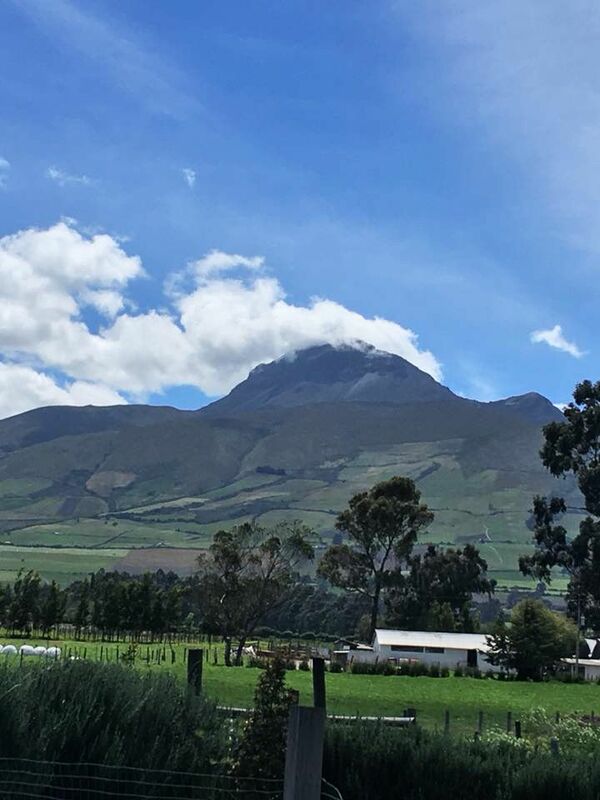 During the following day’s trip to Quito, the group observed more volcanoes (including the second-largest active volcano in the world, Cotopaxi) and hiked through national parks to scenic lakes and vistas. 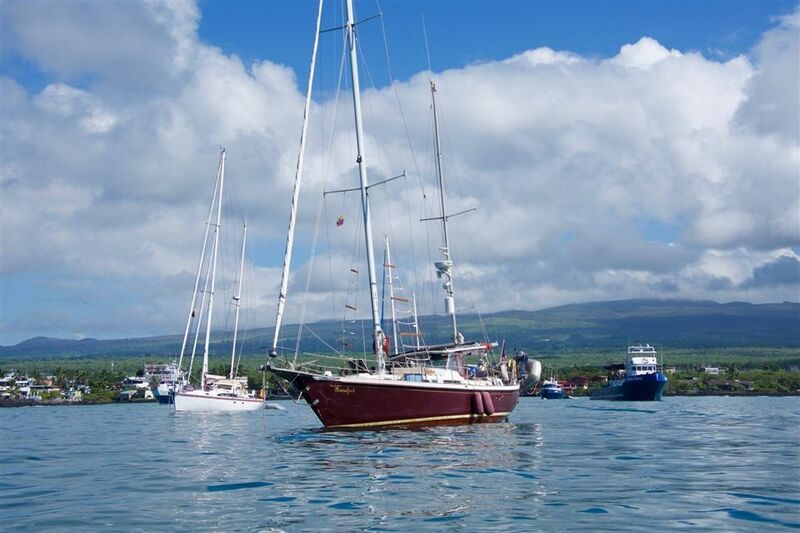 Finally, the most anticipated part of the trip: the Galápagos Islands! 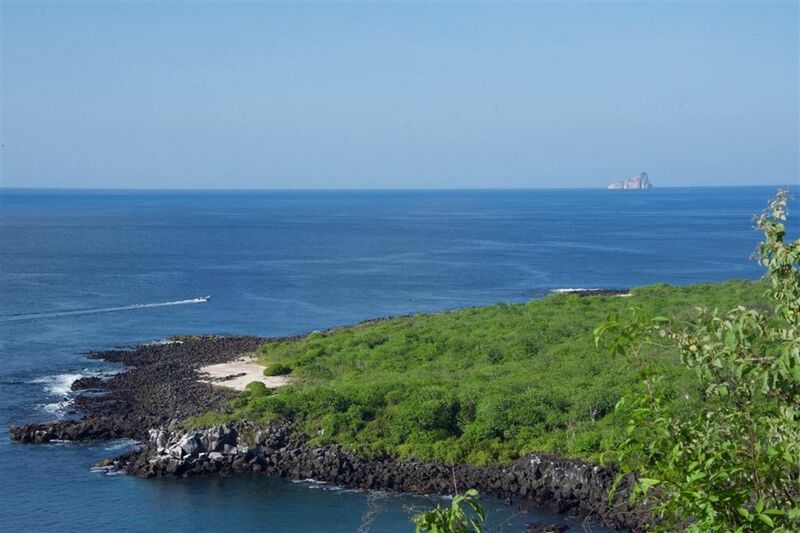 The group arrived to the island of San Cristóbal where local guides brought the group to an interpretive center and a hike of a hill named "tijeretas" after the resident frigate birds. 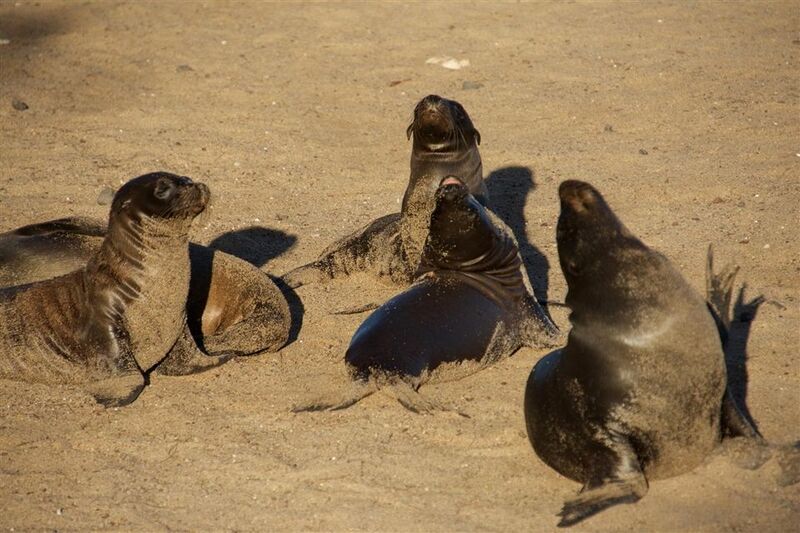 The group enjoyed time on the beach, viewing sea lions, and sunset. 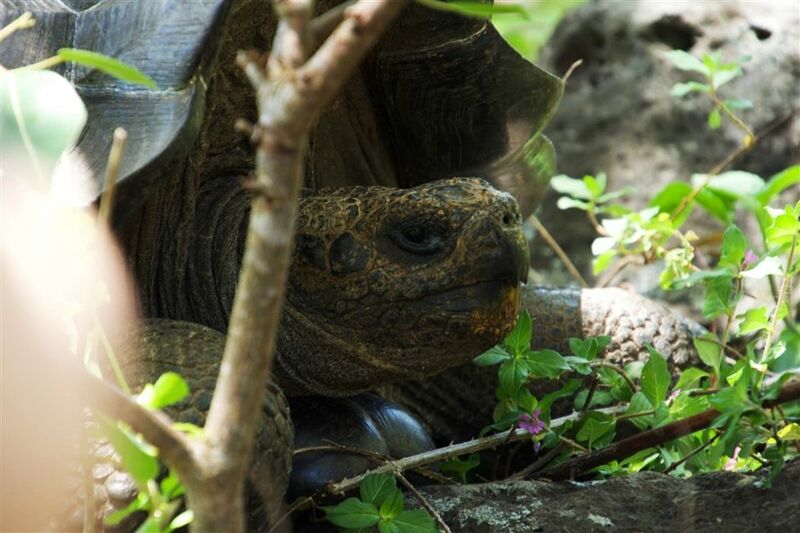 The following day, the group explored a high-altitude lake (the only source of fresh water on the island), a Galápagos tortoise breeding center, and snorkeled in the Pacific Ocean. 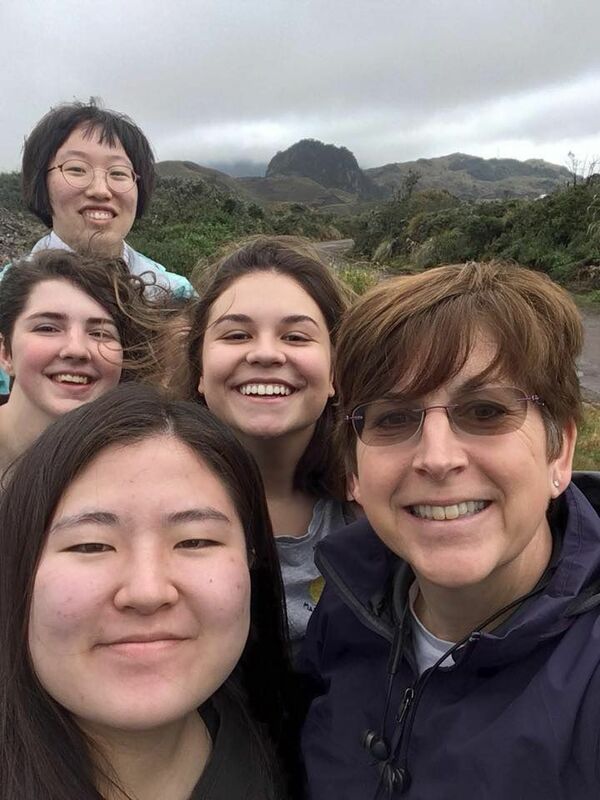 The following day, the group traveled by boat to Santa Cruz Island, saw the Charles Darwin interpretive center, more amazing wildlife, and spent time at the beach. 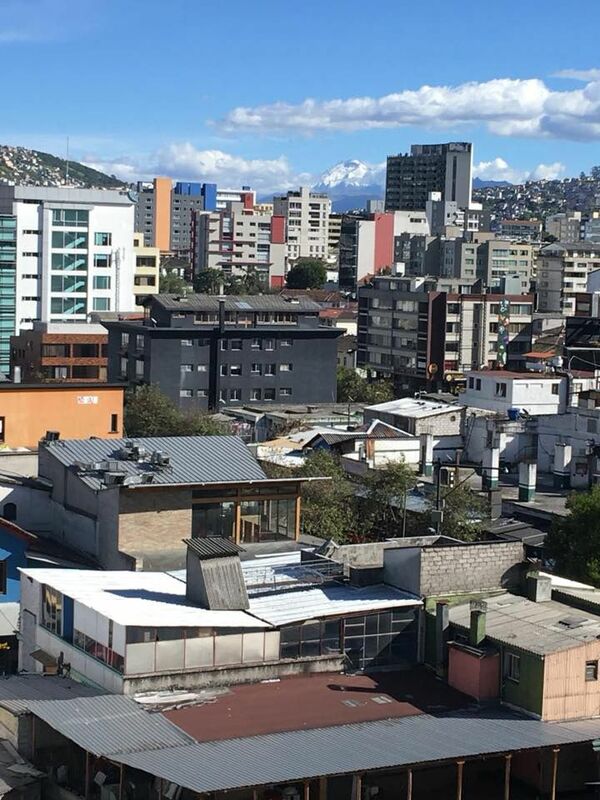 The group returned to Quito before making their way safely all the way back to Grier School to resume classes for the last leg of the school year. 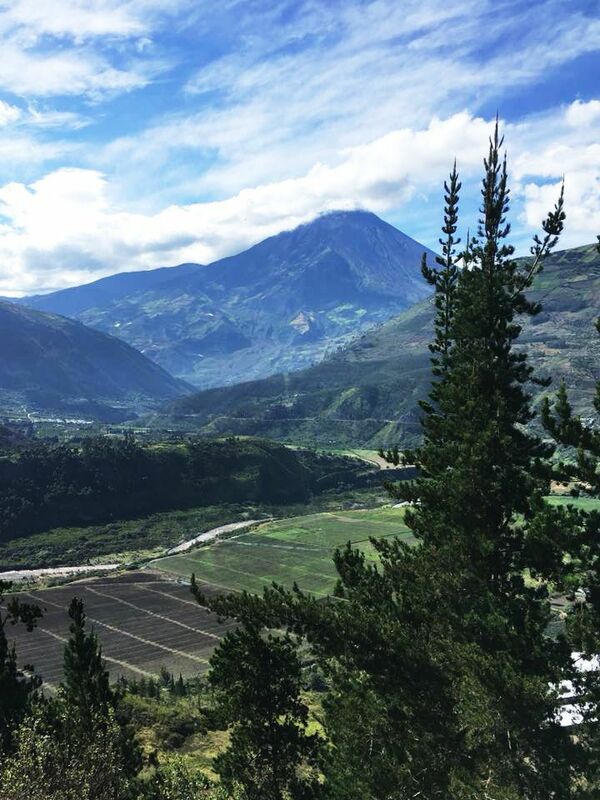 This trip to Ecuador was an amazing adventure! The girls who made the journey have been spilling over to tell their friends and teachers all about it. 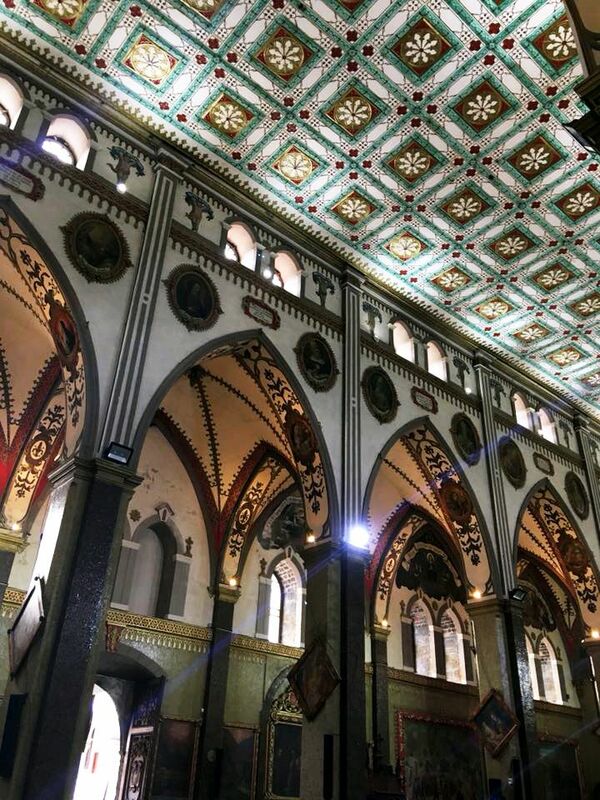 Thanks to the chaperones Dr. Burke, Mrs. Forest, and Mrs. Silverman for accompanying the group! 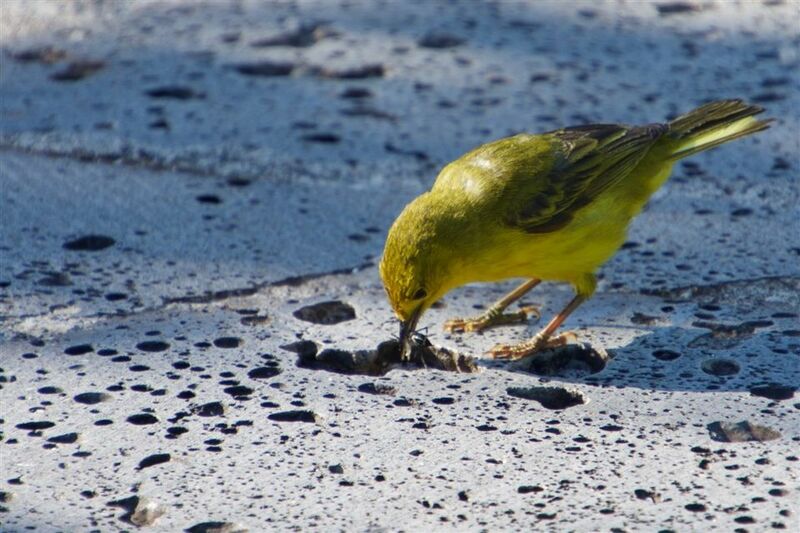 By R. Woolfrey | Photo credit: K. Forest and others.. 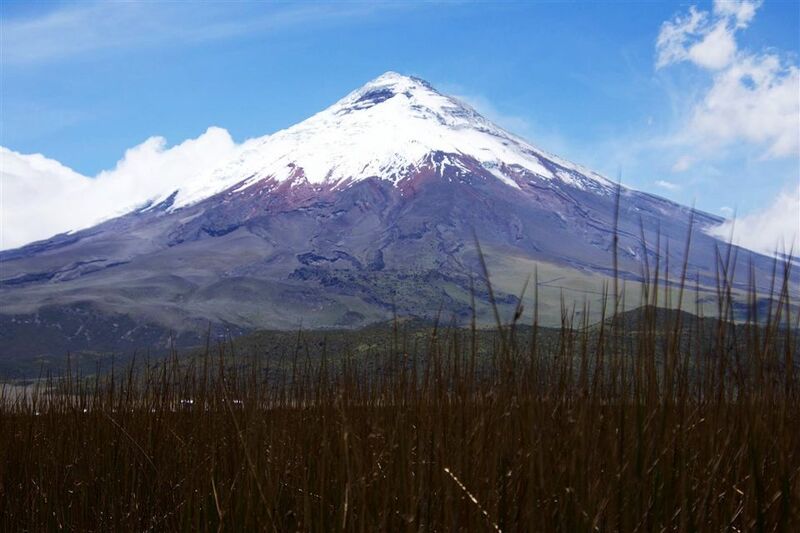 The red grass with Cotopaxi in the background. 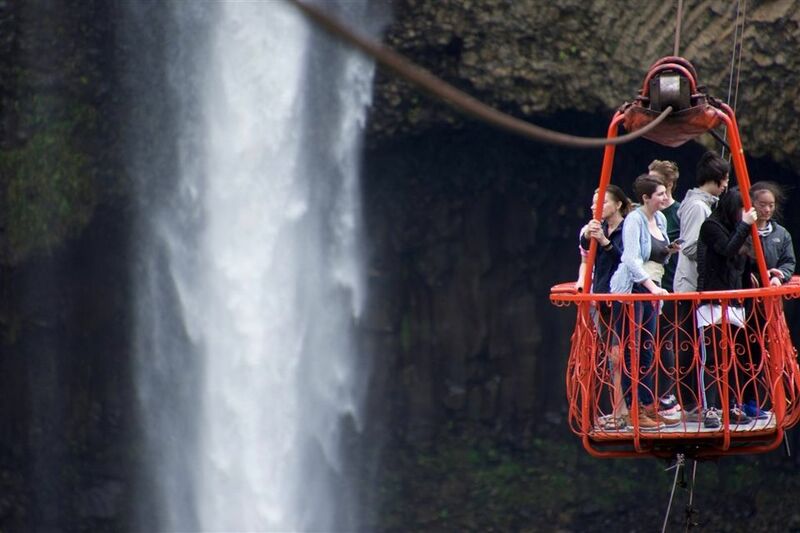 Cable ride across the canyon to a waterfall. On the Equator! 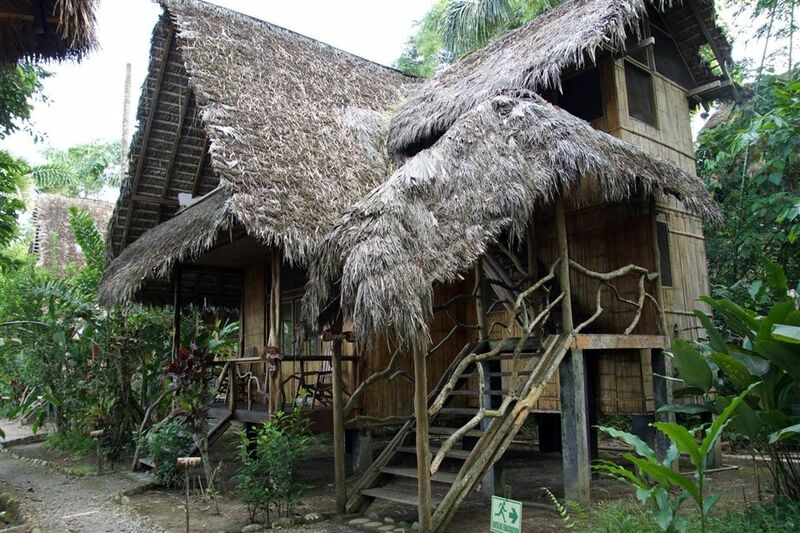 Zero degrees latitude. 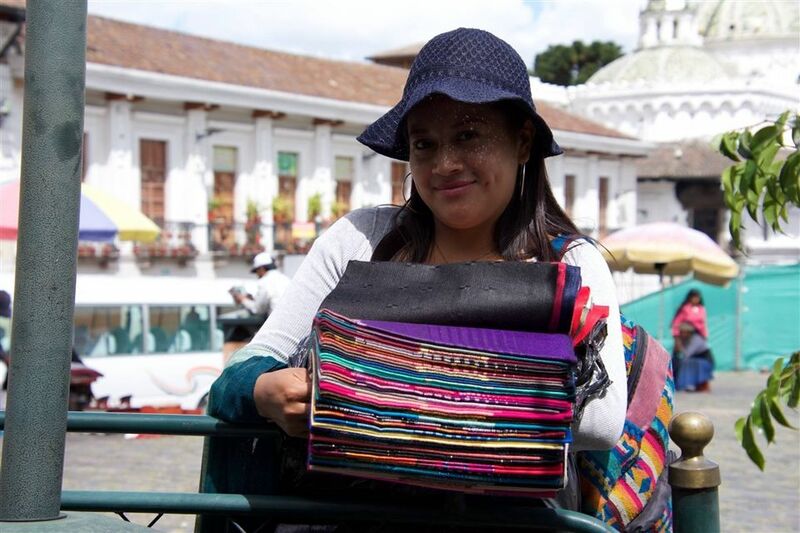 A street vendor selling colorful scarves in Quito. 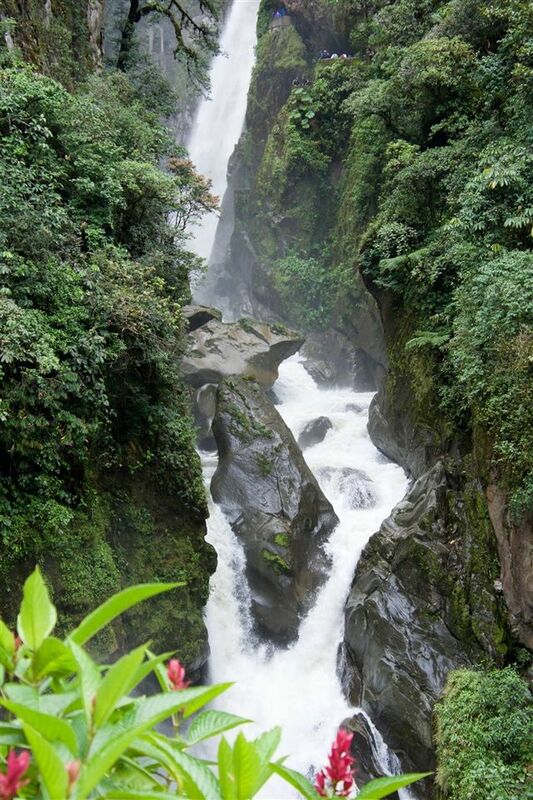 River rafting on the Hatun Yacu. 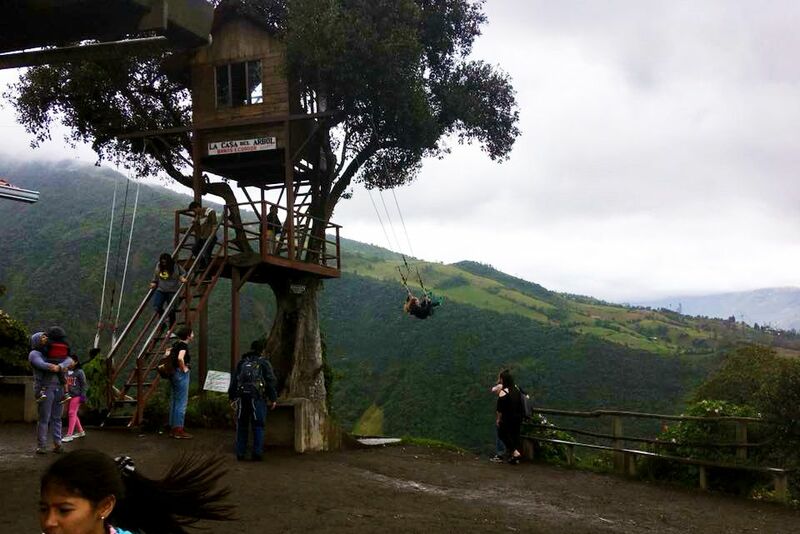 The treehouse overlooking the valley and a view of active volcano Tungurahua. 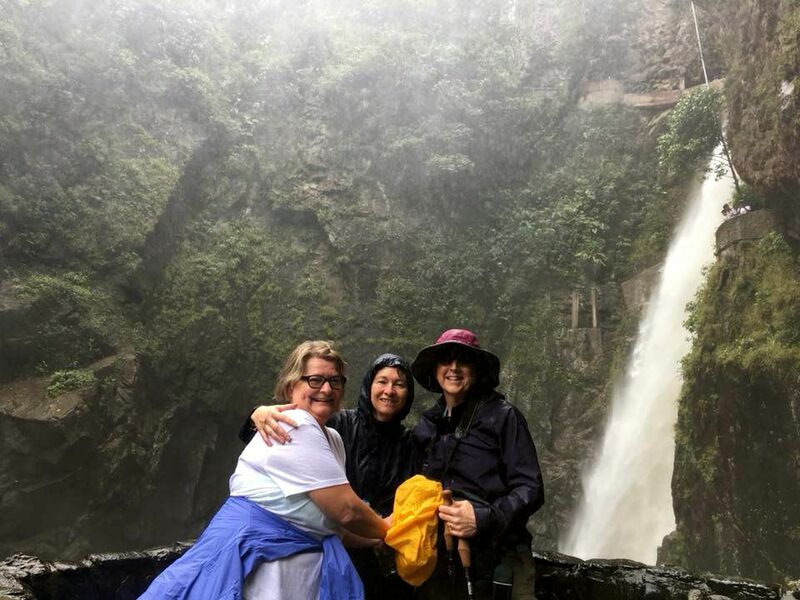 Chaperones Mrs. Silverman, Dr. Burke, and Mrs. Forest in front of a waterfall. 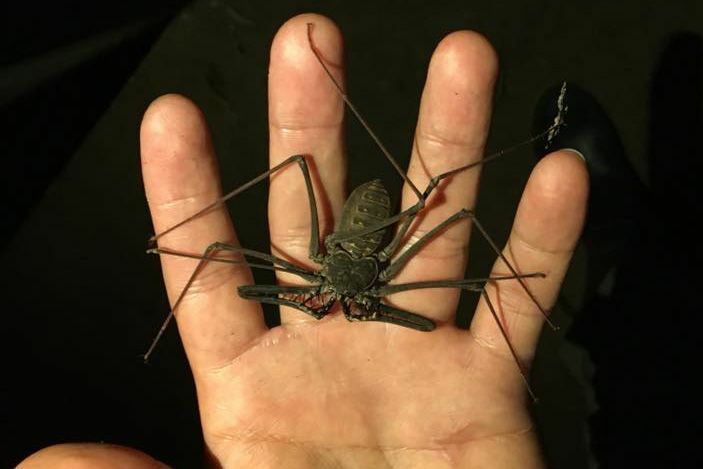 A scorpion spider viewed on the nighttime hike through the Amazon rainforest. 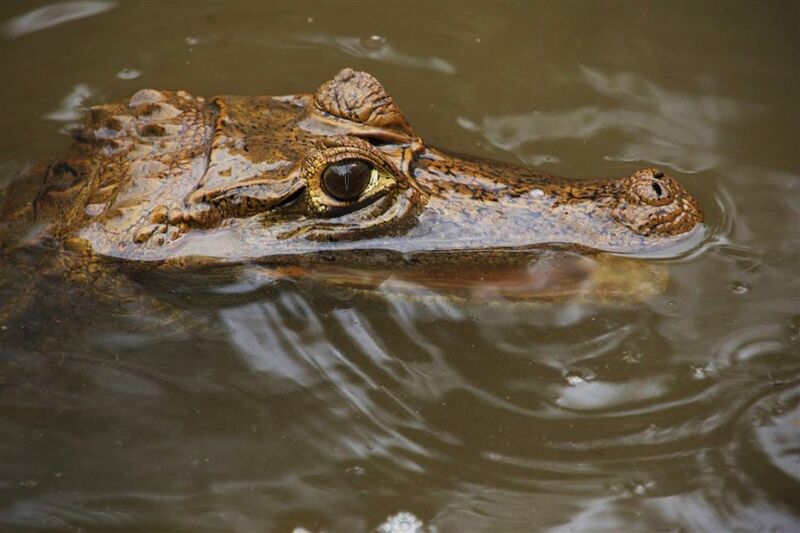 Caiman at the animal rescue center. 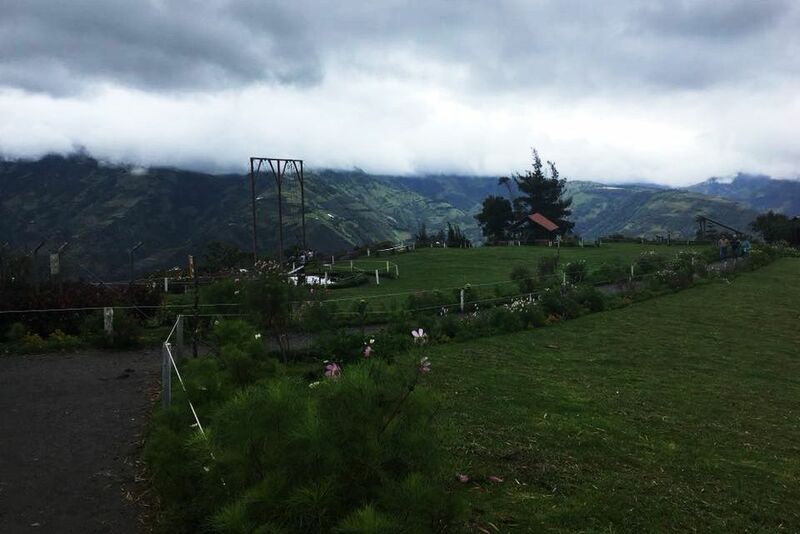 View from the interpretive center on San Cristobal. 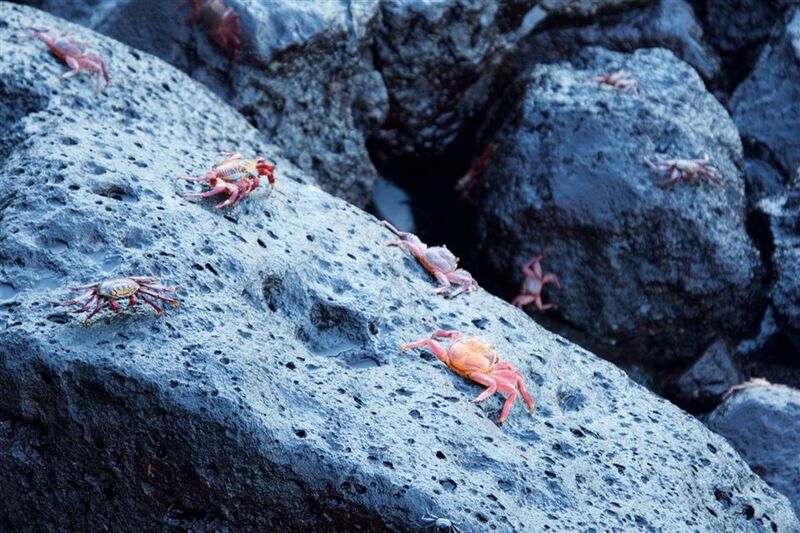 Sally Lightfoot crabs on the Galapagos Islands. 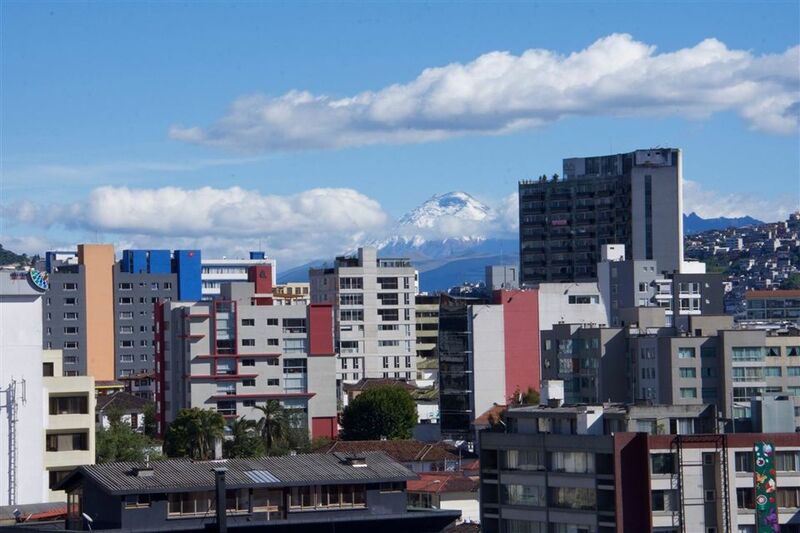 Quito with Cotopax in the background. 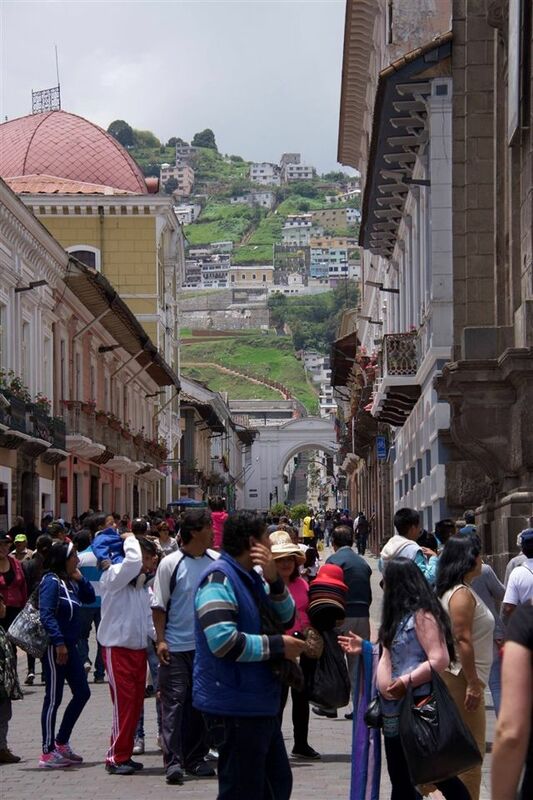 A view of a street named "Seven Churches." 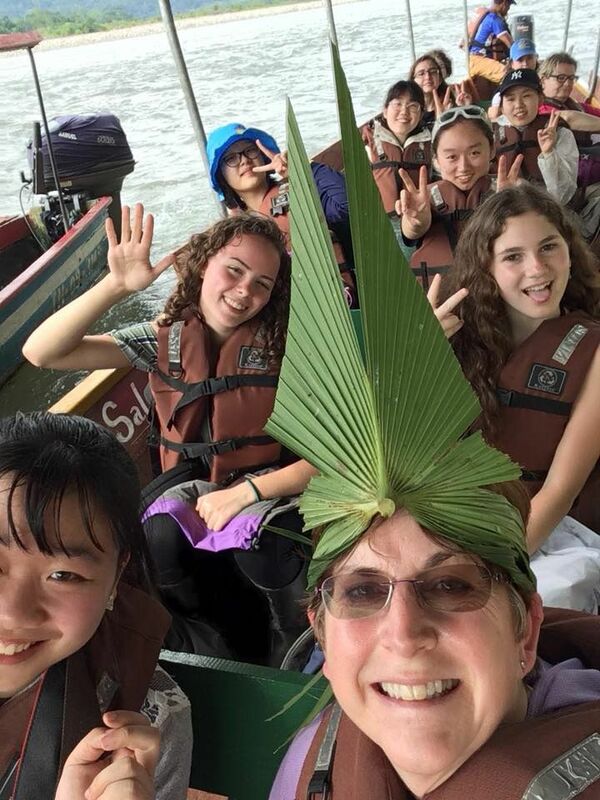 Mrs. Forest with a great hat! 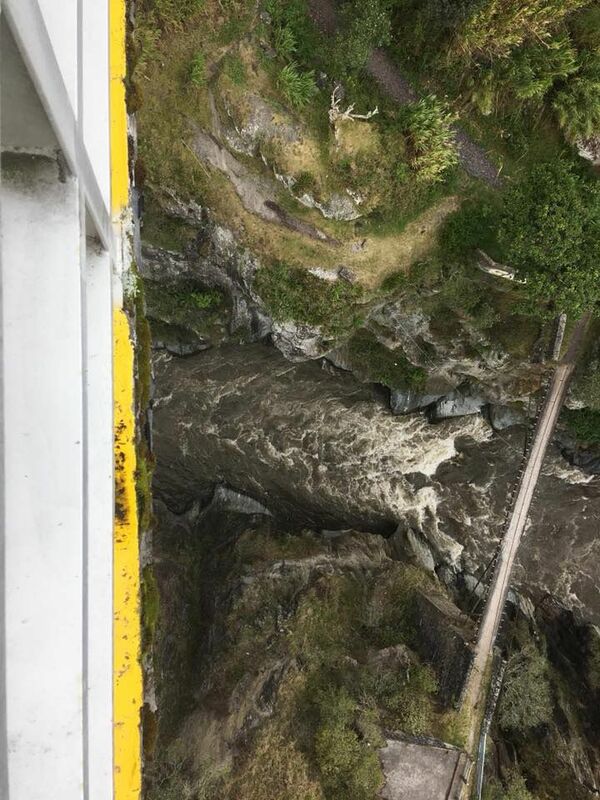 A long way down to the river below.